As someone who had never really been a fan of the Saints Row series in the past, I ended up being a huge proponent of Saints Row IV when it released. It was a hugely satisfying open world super hero game with consistently strong humour, polished combat and world traversal mechanics and a character creator that allowed me to create a kickass lady president who swore at anything that moved and murdered anything that stood in her way. It was an incredibly well thought out game that gripped me from start to finish. Saints Row IV won me over to the Saints Row franchise in such a strong way that its sequel, Gat out of Hell, has been pretty high on my most anticipated list for this year. Unfortunately, Gat out of Hell just doesn’t live up to it’s immediate predecessor. At times it shows off the same levels of creativity, polish and humour that made Saints Row IV great, but those moments greatness are spread out few and far between. At times I loved Gat out of Hell, but most of the time I was sat focusing on all the things it just failed to get right. 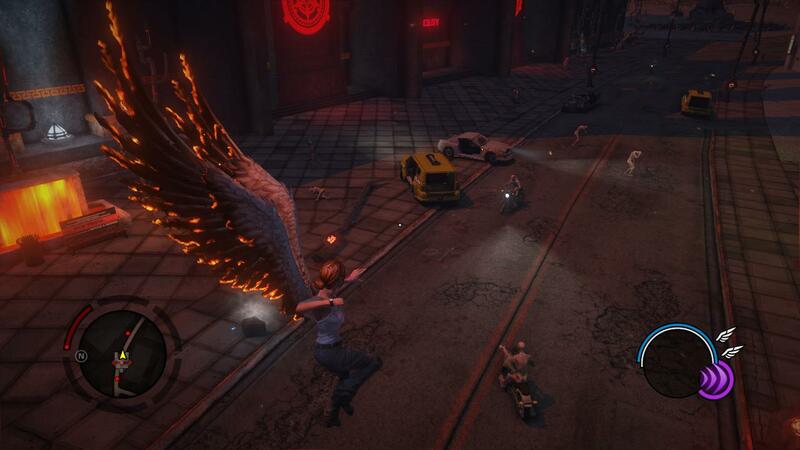 Gat out of Hell takes place shortly after the events of Saints Row IV. The earth has been destroyed, The Saints are aboard a time travelling space ship with Jane Austen and it’s Kinzie Kenzington’s birthday. As a celebration, the crew decide to take out a Ouija board and commune with the dead. The board tells them The President is going to marry the daughter of the Satan, before sucking them through a portal to hell and mocking those left behind. Gat shoots the board and demands it take him to Hell to track down The President, with Kinzie tagging along because it’s her birthday and she wants to be part of the adventure. 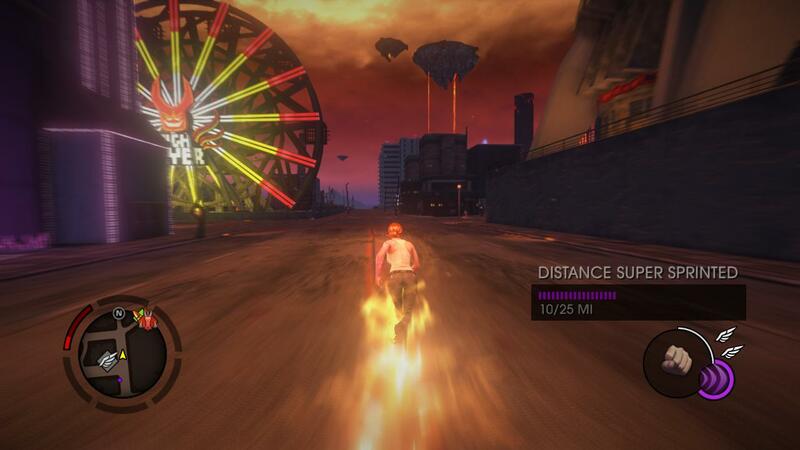 From here you’re thrown into a world that looks an awful lot like the world of Saints Row IV with a red and black colour palette applied to it and a series of abilities that are lifted wholesale from the last entry. 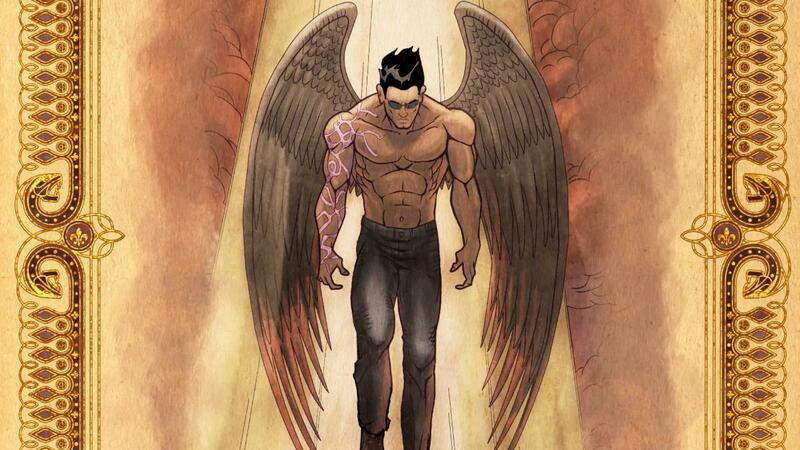 Oh, your ability to fly now goes with a pair of evil burnt angel wings which look pretty badass. The main Gat out of Hell campaign is at times highly enjoyable. Chunks of the story are told through a fairy tale picture book narrative that works surprisingly well when contrasted with the dark subject material. While I’m not usually a fan of picture book cutscenes, here the contrast between presentation and content really did work well. It’s also important to note that the writing of the cutscenes in Gat out of Hell is of an incredibly high quality throughout. While these cutscenes are not super frequent, when they do come up every character is charming, full of personality and over the top in the best possible way. The cast are superbly portrayed and always a joy to watch interact. Right, here’s the part of the review where I have to start tearing this game apart a little and talking about the ways it fell short of expectations. Gat out of Hell took me around five hours to complete, and even at that length it felt arbitrarily padded to extend it’s length. Over my five hour playtime I spent almost the entire experience grinding the same handful of missions, taken from Saints Row IV and re-skinned, over and over to unlock the next piece of narrative. Loyalty missions are made up of shopping lists of these same missions at different difficulties over and over with seemingly no narrative reward and at times narrative progression was locked until I went out to grind these same missions by myself on the overworld. Even at a completion time of five hours, I found the game arbitrarily padded with unnecessary, repetitive rehashed content. Where Saints Row IV had unique narrative rich missions for each character you rescued and recruited, Gat out of Hell gives you a few lines of dialogue then send you out with a repetitive shopping list of missions. Also, toward the end of the experience there were a couple of serious difficulty spikes that ground my progress to a halt. It’s interesting when a game throws a new challenging enemy at you, it’s not so fun when a game takes five of the strongest enemy you have fought so far and throws them at you at once, alongside five enemies that cause you to randomly float into the air, unable to attack but vunerable to others attacks. It’s difficulty spikes through sheer brute force and they really killed my enjoyment of the mechanics in the later sections of the game. While we’re discussing the game’s mechanics, they are near identical to those in Saints Row IV for better and for worse. 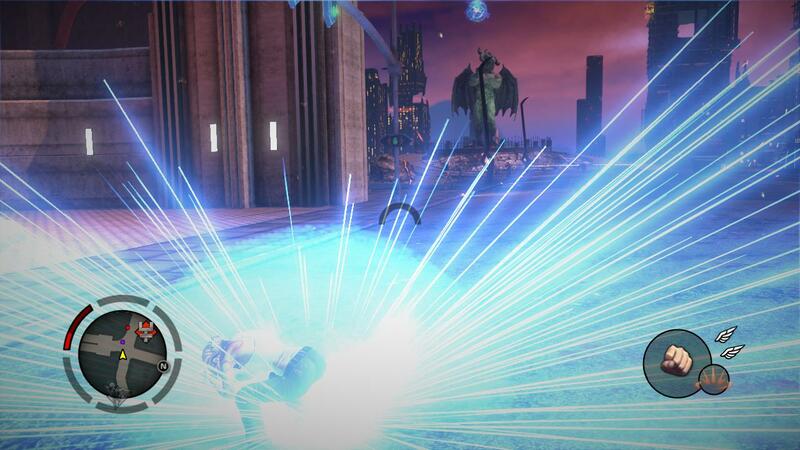 Speed running, charged stomps, flight, wall running and elemental blasts are still fun to pull off, but the sense of discovery and evolution that existed when discovering these for the first time in Saints Row IV is gone, replaced with a desire to get those moves back as soon as possible. It’s still a strong set of mechanics, but nothing about it feels particularly new. One of the big new mechanical additions to Gat out of Hell which was promoted heavily before release was the games new signature silly weapon, the Chairmageddon. Where Saints Row IV’s Dubstep gun could be collected early in the game and was rewarding to use, Gat out of Hell’s mechanised armchair kills your movement speed to a crawl, cannot aim vertically and arrives in the game late enough that it’s highly impractical to use compared to the weapons you’ve already spent money to upgrade. Oh, and it has almost no vertical aiming axis, making it impossible to use on enemies who are not stood on the ground at exactly your level. I think the most disappointing aspect however of Gat out of Hell is that it has some fantastic ideas that appear for a moment then never get reused. The key example of this is a superbly written and extremely funny musical segment in the middle of the narrative where all of the characters sing through their thoughts on the current situation. It was incredibly enjoyable, but happens in a single cutscene and is never referenced again. Several times when the game shone at it’s best it was trying something surprising that worked well and then never got used again. 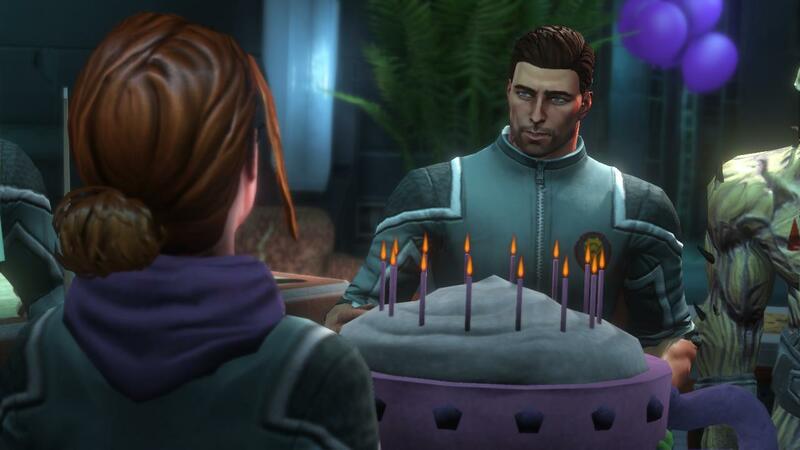 Lastly, I want to talk about character customisation, gendered player options and how these are applied to the game. 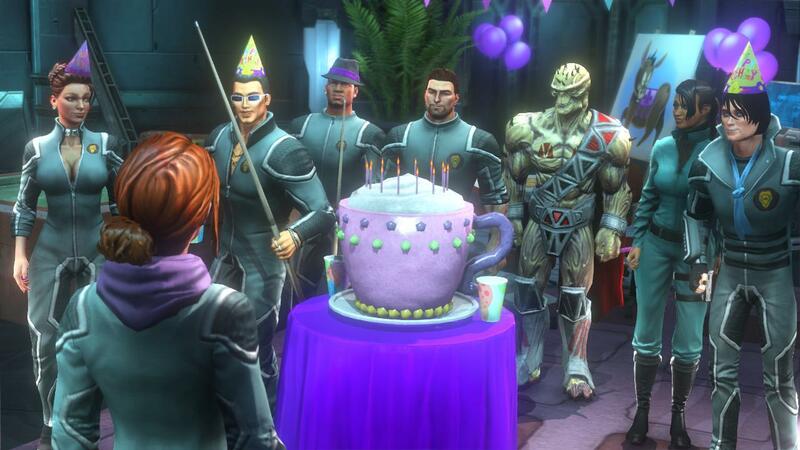 I played Saints Row IV as a female customised President, who I became very attached to over my 15 hours with the game. As you can imagine, I was slightly surprised in Gat out of Hell when The President is a generic looking man. Turns out Gat out of Hell did not recognise my original PC save for Saints Row IV and as such I was a little disappointed to spend the game trying to rescue a President I had no attachment to rather than my own. With a name like Gat out of Hell I expected I would only be able to be able to play through my adventure as Gat, but as it turns out early in the game you are given the option to swap and play as Kinzie instead. I was quite excited about this and as such I proceeded to play almost the entire game as her. While I was pleased to see this option, I was really disappointed by how rushed its implementation felt. Every single cutscene references how Gat is killing demons and catching Satan’s attention, but not one ever mentions all the things that Kinzie had been doing in my playthrough. As far as cutscenes were concerned she did nothing during the whole adventure. Oh, and players who choose to control Kinzie for the whole game will find they are arbitrarily made to play the final fight of the game as Gat. Kinzie is in the room, she’s fighting in the same fight, she’s using the same weapons and powers but you’re forced to win the final fight as Gat. How silly of me to think I would be allowed to finish the game as the playable female character. Women just are not up to shooting the devil in the face. 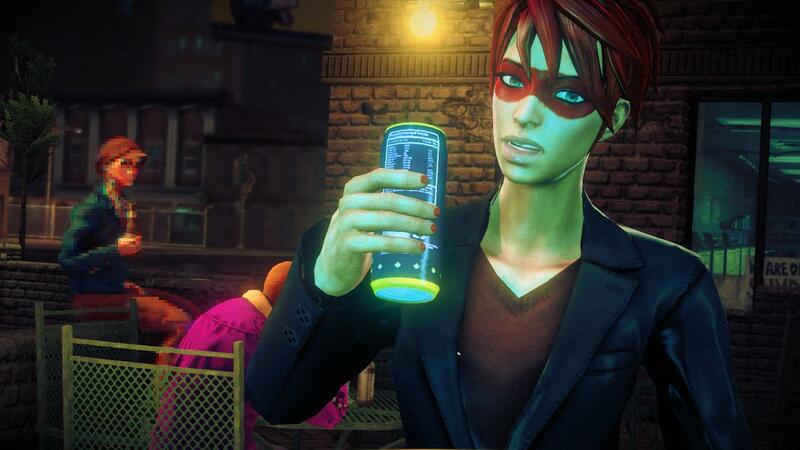 Oh, my female Saints Row IV President would have a lot to say to the creators of Gat out of Hell. Gat Out of Hell was ultimately a disappointing game, made all the more disappointing by the glimmers of brilliance sprinkled throughout it. If a little more time had gone into it’s creation it could have been something fantastic. As it stands, it’s a five hour experience that feels padded for additional length. When it shines it’s fantastic, but you really have to fight for those moments of brilliance. Note: I also need to talk about bugs. I played Gat out of Hell on PC and toward the end of the campaign encountered an audio bug where voice clips would fail to play when visual indicators for them were on screen, sound effects would cut out and everything but faint background music would cut out. The standalone version of Gat out of Hell on PC is not due to be patched before release.